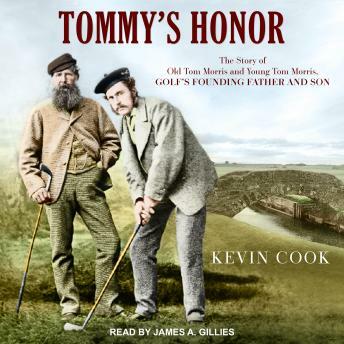 Bringing to life golf's founding father and son, Tommy's Honor is a stirring tribute to two legendary players and a vivid evocation of their colorful, rip-roaring times. The Morrises were towering figures in their day. Old Tom began life as a nobody-he was the son of a weaver and a maid. But he was born in St. Andrews, Scotland, the cradle of golf, and the game was in his blood. He became the Champion Golfer of Scotland. As 'Keeper of the Green' at the town's ancient links, Tom deployed golf's first lawnmower and banished sheep from the fairways. Then Young Tommy's career took off. Handsome Tommy Morris was a more daring player than his father. Soon he surpassed Old Tom and dominated the game. But just as he reached his peak Tommy's life took a tragic turn, leading to his death at the age of twenty-four. That shock is at the heart of Tommy's Honor. It left Tom to pick up the pieces-to honor his son by keeping Tommy's memory alive. Tommy's Honor is both fascinating history and a moving personal saga. But this book isn't only for golfers. It's for every son who has fought to escape a father's shadow and for every father who has guided a son toward manhood, then found it hard to let him go.